Welcome to Friday Flea Market. 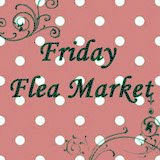 Have you heard that our hostess Polly has created a Friday Flea Market Blog for all of us :-). It is beautiful!!! 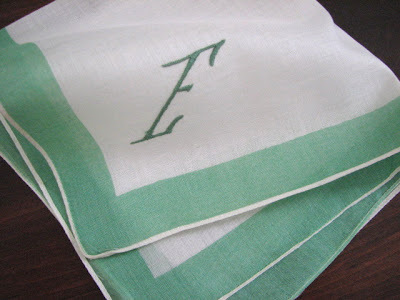 Thanks to Shabby Miss Jen for creating a beautiful custom made banner. 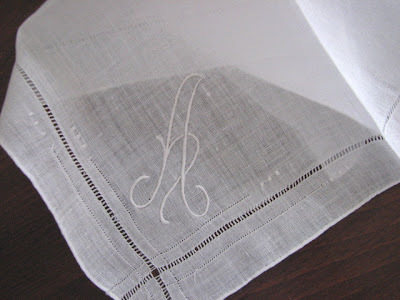 The new blog provides an easy way for visitors to find us each week. 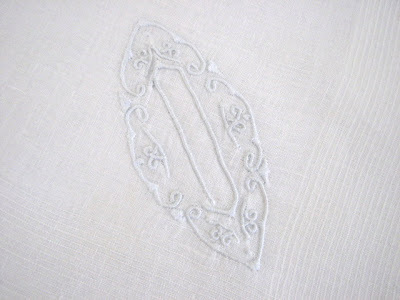 You can see the new blog here, at Friday Flea Market. Thank you for all your hard work Polly and Jen! 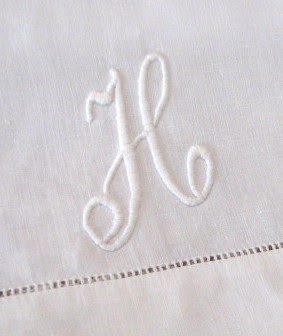 This week my theme is Monogrammed Hankies and Linens. 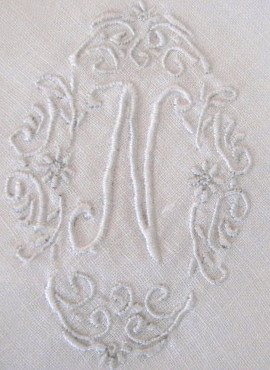 I just love Embroidered Linens with Monograms. They look so elegant! 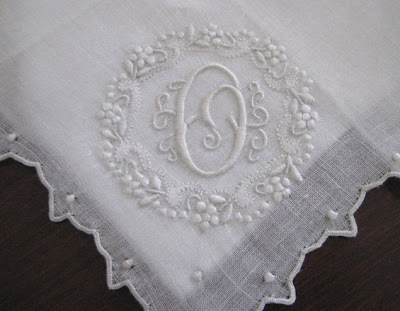 You will find the Monogrammed ~ M ~ and ~ O ~ in the Hanky section of my Ciderantiques website along with several pretty floral and wedding hankies. 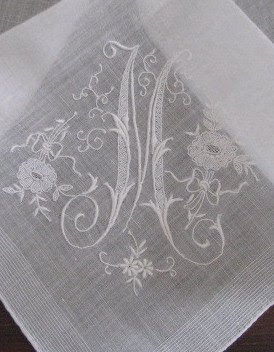 The other monogrammed hankies and linens are newly listed in my Etsy Shop . Thank you for visiting and have a great weekend ! 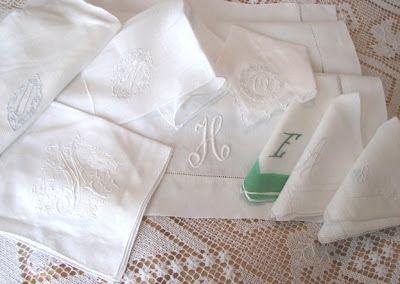 Wow, I love all of your monogrammed hankies! 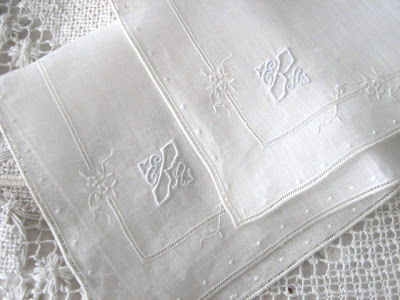 Vintage hankies are so delicate. Thanks for posting all the fabulous pictures.